WinX DVD Ripper Platinum - DVD риппер, позволяет конвертировать и копировать ваши DVD в AVI, DivX, MP4, MPEG1-2, FLV, WMV, ASF видео файлов формата IPod, iPhone, мобильные 3GP, PSP, PDA. WinX DVD Ripper Platinum, the professional and fantastic all-in-one DVD ripping software can rip the content of DVDs to fashionable video files which suitable for both personal computers and multimedia portable devices. As a powerful DVD ripping solution, WinX DVD Ripper Platinum offers the fastest ripping speed, high video/audio quality, 100% stable working process for you. 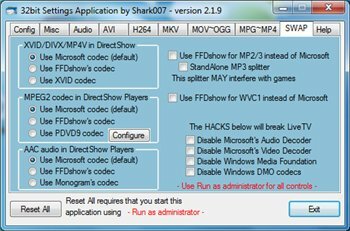 WinX DVD Copy Pro -Программа для резервного копирования DVD; переписывайте DVD на DVD диски для надежного хранения; копируйте DVD в образы ISO; копируйте DVD в файл MPEG2. Программа использует в работе инновационные технологии которые позволяют работать даже с очень поцарапанными и потертыми DVD дисками с плохими секторами. WinX DVD Copy Pro is specially designed to meet users' up-to-date DVD backup demand: clone DVD to DVD disc for safe storage; copy DVD to ISO image for later burning, playing or ripping; copy DVD to MPEG2 file with intact content for further usage in media center, DVD library establishment and DVD playback in PS3, HTPC. Equipped with ISO mounter and DVD burner, this DVD copy software can also help mount ISO to a virtual drive and burn DVD to DVD. Network LookOut Net Monitor for Employees Professional - Программа для мониторинга и управления удалёнными компьютерами. Позволяет наблюдать за удалённым компьютером, управлять мышью и клавиатурой, также можно посылать уведомления или заблокировать компьютер. Mezzmo - Программа для организации на вашем PC - DLNA и UPnP медиа сервера. Передает различный контент (аудио, видео, картинки) на поддерживаемые девайсы. Mezzmo. The ultimate media server for streaming movies, music and photos to your UPnP and DLNA devices. 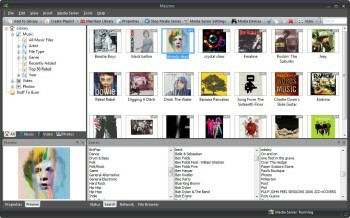 Mezzmo is the most feature-packed media server available today. 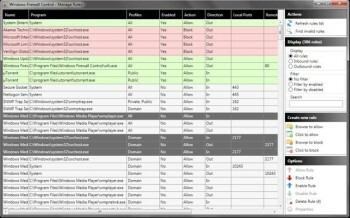 No other Windows-based media server provides as many digital media sharing features and is as easy-to-use as Mezzmo. Install Mezzmo onto your PC today and start streaming music, movies and photos to your UPnP and DLNA-enabled devices in your home. Mezzmo's media server allows you to stream all your music, movies and photos from your computer to your TV, home theater, games consoles and digital media players. Try Mezzmo today and take your home entertainment to the next level! WinX HD Video Converter Deluxe builds 160 video codec and 50 audio codec, a perfect multi-functional combination of HD Video Converter, DVD Burner and Website Video Downloader. Without any third-party codec, it can support Multi-track HD video M2TS, MKV, AVCHD, HDTV BDAV and MPEG-TS video movies. It also supports converting all the High Definition and HD-Camcorder videos, to both portable and console players, such as iPad, iPod, iPhone, Apple TV, PS3, PSP, Xbox, Zune, PDA, Blackberry, Nokia, Android, Zen, etc,. Aiseesoft Blu-ray Player - видео проигрыватель. Воспроизводит любые видео файлы (HD video, AVCHD video, MTS, M2TS, MXF, TS, TRP, MKV, MPEG, FLV, WMV, MP4 и т.п.) Blu-ray диски (включая из папок) и формат ISO. Высокое качество воспроизведения, позволит насладится всеми прелестями HD видео. Aiseesoft Blu-ray Player is one easy-to-use player for PC. It can help users enjoy any Blu-ray movie with outstanding and perfect video quality at home. This amazing player can not only play Blu-ray Disc, but also support Blu-ray folder and ISO image files. This Blu-ray Player is reliable and expert in playing Blu-ray discs released in different regions and dates trough simple clicks of mouse. 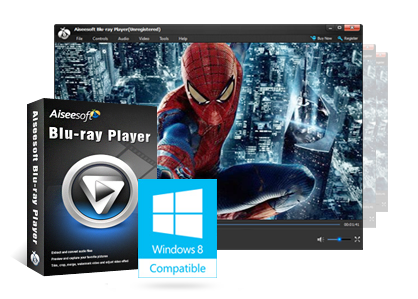 Aiseesoft Blu-ray Player is also capable of playing popular video files. Users can enjoy videos in HD video, AVCHD video, MTS, M2TS, MXF, TS, TRP, MKV, MPEG, FLV, WMV, and MP4, etc. formats. 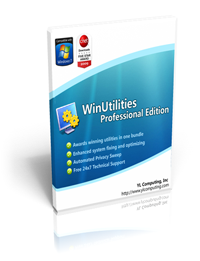 WinUtilities - набор утилит, содержащий более 20 инструментов для увеличения и настройки производительности операционных систем семейства Windows. ADVANCED Codecs for Windows 7 / 8.1 / 10 - Полный набор кодеков для Windows 7 / 8.1 / 10. Driver Magician - простая в использовании программа, которая позволит вам с легкостью создать резервные копии всех необходимых драйверов, и при необходимости, быстро их устанавливать, например, при переустановке системы. 1CLICK DVD Converter - конвертирует DVD-видео для последующего просмотра на таких медиа устройствах как: iPod, iPhone, Apple TV, Archos, Creative Labs Zen, Sony PSP, Generic DivX, Microsoft Zune. 1CLICK DVD Converter converts DVD movies and episodes quickly and easily to video files for: iPad, iPod, iPhone, Apple TV, Archos, Creative Labs Zen, Generic DivX, Microsoft Zune (MPEG-4) and Sony PSP. CPRx error correction technology ensures the highest level of success when converting the latest generation of DVDs. 1CLICK DVD Copy - Удобная, простая и самая быстрая программа для копирования видео DVD. Благодаря интуитивно понятному интерфейсу подойдет как начинающим пользователям, так и продвинутым. 1CLICK DVD COPY is a full featured DVD copy program. You now have complete control over the final copy. Use the Copy Presets or the more advanced features to select what content will be copied and how much compression will be used. 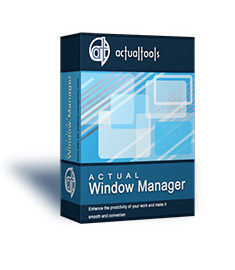 With 1CLICK DVD COPY - , you can make a perfect copy with just one click. Includes CPRx technology. Video2Webcam - Программа позволяет заменять видео идущее с веб-камер на любой видео файл или картинку. Позволяет общаться в веб-чатах даже с отсутствием веб-камеры. Поддерживаются форматы: avi, asf, flv, mp4,mpeg, mpg, ram, rm, rmvb, wmv, jpg, gif, bmp, png и т.п. 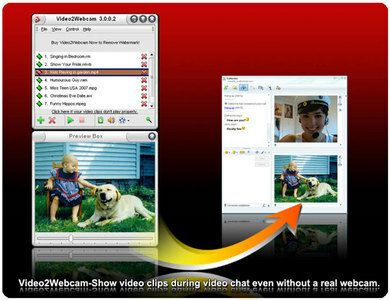 Video2Webcam - Show video clips during video chat even without a real webcam. Show video clips during video chat easily Share your home-made video clips with your friends while chatting online easily. Work even without a real webcam Play a variety of videos on messengers no matter whether you have a real webcam or not. Switch between real and virtual webcams quickly Click the "Choose Video Source" button to fast switch your webcam video source. Support all kinds of media file formats Include video formats (avi, asf, flv, mp4, mpeg, mpg, ram, rm, rmvb, wmv, etc.) and picture formats (jpg, gif, bmp, png, etc.). Work for all webcam programs MSN, Yahoo Messenger, Camfrog, Skype, ICQ, AIM, Paltalk, ANYwebcam, Stickam, ICUII, Ustream.tv, iSpQ. Babylon - словарь, позволяющий переводить слова с одного языка на другой в Online\Offline режимах. Кроме собственно словаря, который можно использовать в любое время, при онлайн-работе (т.е. во время подключения к Интернету) Babylon позволяет воспользоваться огромными базами данных, сосредоточенными в таких глоссариях, как Britannica, Amazon, Accuweather и др. Babylon is the world's leading provider of language solutions, such as online and offline dictionary and translation software in over 75 languages in one simple click and is being used by millions of private users and organizations in more than 200 countries and territories. 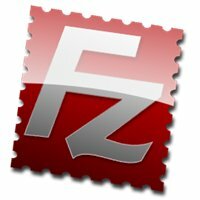 Actual Window Minimizer - дополняет стандартный оконный интерфейс Windows возможностью свернуть ЛЮБОЕ окно в область уведомлений. Эта полезная функция может быть вызвана через дополнительную кнопку "Свернуть окно в трей" в заголовке окна, «горячую клавишу», дополнительный пункт в системном меню окна, а также автоматически - при появлении окна либо при потере им фокуса. Actual Window Minimizer is a small but powerful utility which is only needed to be installed to bring the minimize-to-tray ability online in a most quick and easy way: it adds an extra Minimize-to-Tray Minimize-to-Tray button button to every window's title bar so that you can send any window to the system tray in a single mouse click! Windows Firewall Control - простая в использовании утилита, для более тонкой и детальной настройки встроенного Windows Firewall. Поддерживает Windows 8.1, 8, 7, Vista и Server 2008. Windows Firewall Control is a nifty little application which extends the functionality of the Windows Firewall and provides quick access to the most frequent options of Windows Firewall. It runs in the system tray and allows user to control the native firewall easily without having to waste time by navigating to the specific part of the firewall. 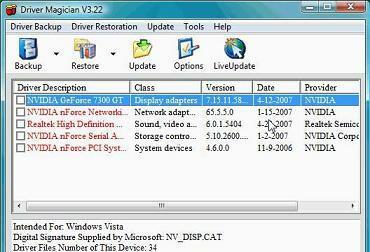 This is the best tool to manage the native firewall from Windows 8.1, 8, 7, Vista and Server 2008. Pixarra TwistedBrush - программа для художников. Включает в себя большое количество самых разнообразных инструментов для рисования, от красок до мелков и карандашей. Интерфейсом Twisted-Brush мало похож на другие редакторы, хотя и предоставляет все необходимые возможности: работа с буфером обмена, зуминг и, конечно же, рисование. 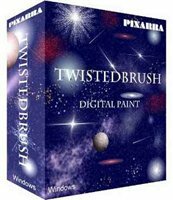 TwistedBrush - digital paint software with complete natural art tools - oils, acrylics, pastel, charcoal etc. Software for artists without the complexity of other art programs. TwistedBrush Pro Studio - creating art the way it should be, simple and fun! Simplicity without sacrifice, powerful enough for the professional artist yet simple enough for the novice. TwistedBrush Pro Studio has one of the most versatile and powerful brush engines in existence, yet it was designed from day one to be easy to use.